We Treat Your Table Like it’s Our Own. Anytime Billiard Service is Denver, Colorado’s leading pool table experts. We started moving Denver’s pool tables in 2001. We’ve treated every pool table like it was our own. We LOVE the game of billiards! Insuring that your pool table plays perfect, you will be satisfied with our service. Please DON’T LET JUST ANY FURNITURE MOVING COMPANY move your pool table. This is a skilled trade. Precise tools are needed to level your pool table. We level each piece of slate to less than the width of a dollar bill. We carefully remove every staple from your cloth, insuring it’s longevity or reusability. We use local bees wax to seal the slate seams. No short cuts are taken too offer a lowball price! We give a fair quote, back it with a guarantee. Our service is fully insured. When I’m not working or playing pool, I enjoy spending time with my family doing things like camping, golfing, dancing and cooking. My passion for the game of billiards came from my father, who has always been a really good player. He taught me how to play billiards in our basement on our old coin operated pool table (coin slot removed of course… wink!). After many years of practice, he took me to a father-son tournament where we won first place! 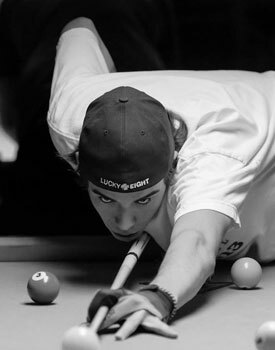 I was hooked on billiards after that. My professional experience with billiards began as manager of a pool hall in Arvada, CO. After that I was hired by a local billiards store in 2001 as a pool table technician, and eventually promoted to service manager. After only 3 years there, I earned the position of store manager. With 10 years of experience in the field, and a desire to do things my way, I decided to open Anytime Billiards Service with the intention of running the best billiards service in the Denver area. Avery has been with the company since 2015, and has had one-on-one training with Ryan for the majority of his time with the company. 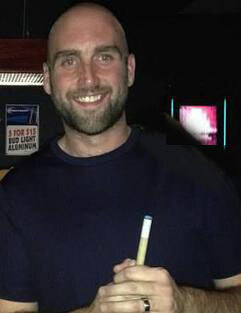 His interest and passion for billiards makes him a perfect fit for our team. In his spare time he likes to play ice hockey, play in pool leagues and tournaments, and hang out with his friends.